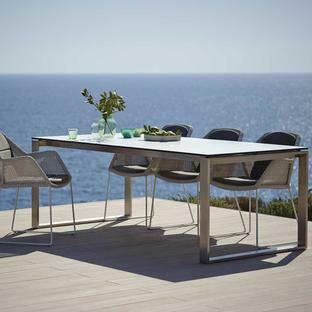 Transparent and minimalistic outdoor chairs. 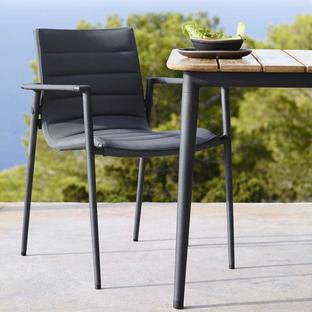 Designed by Strand+Hvass for Cane-line, the Edge Rope collection of dining chairs are Danish design at its best. 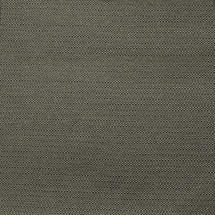 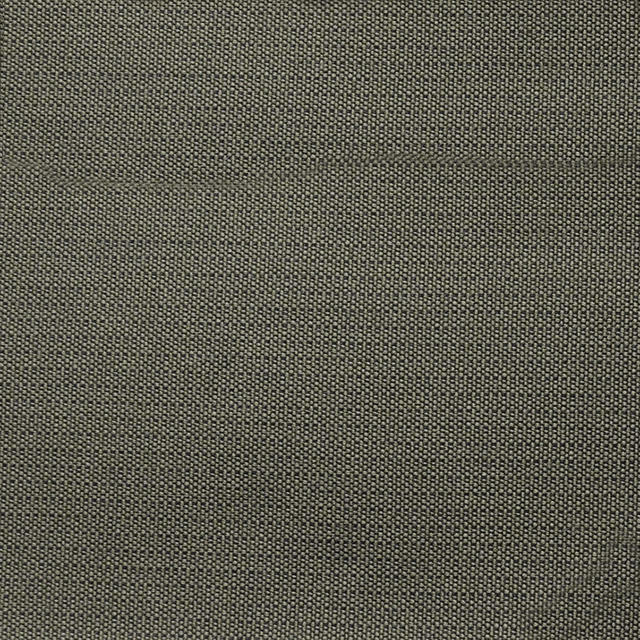 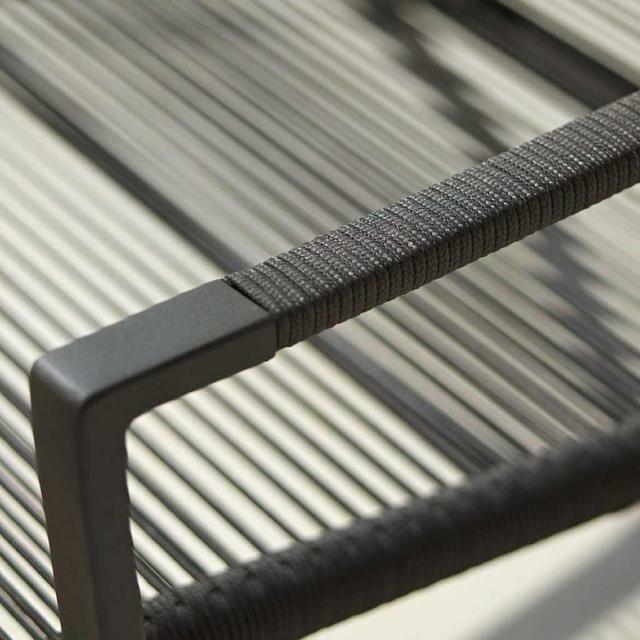 The Rope collection is designed with a simple and elastic material, giving it a textural look with a practical surface. 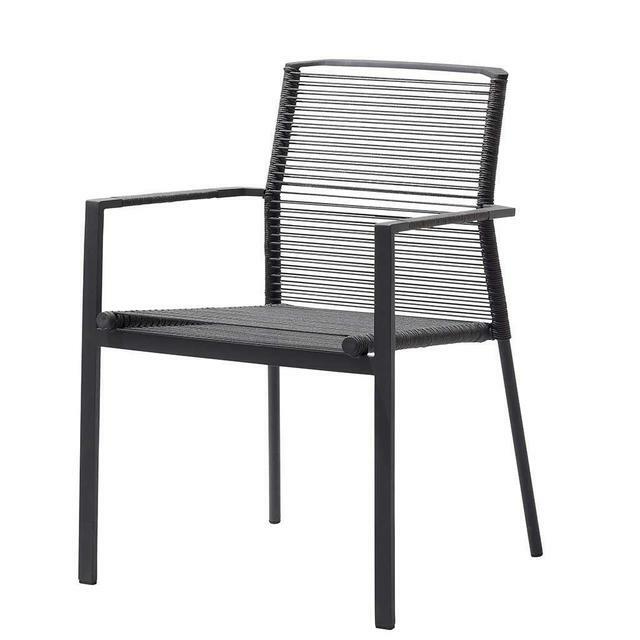 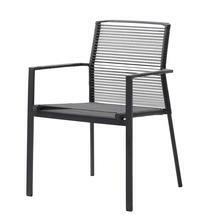 The cast aluminium frame of the chairs are powder coated in a dark grey anthracite finish, the rope fibre is weather resistant. 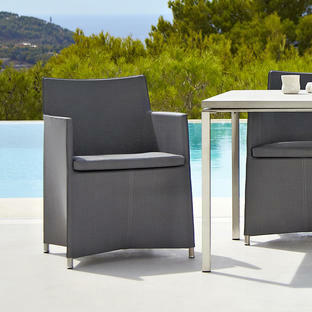 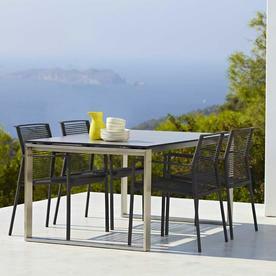 The design and weight of the furniture makes it ideal for windy locations. 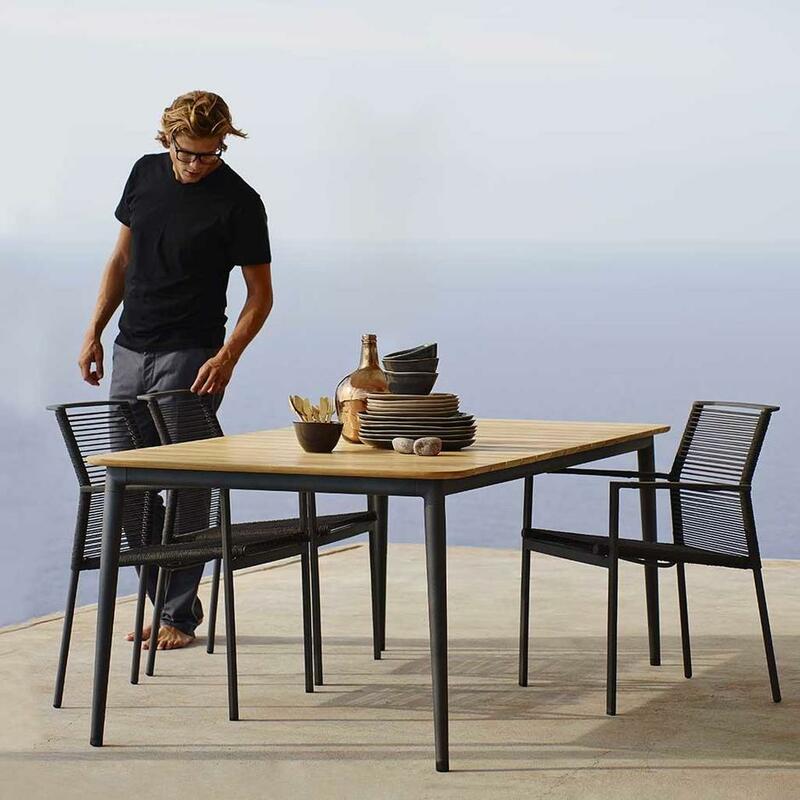 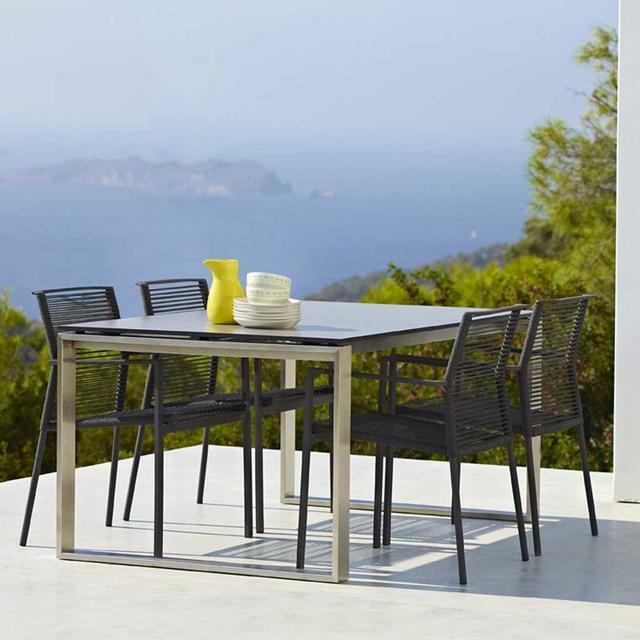 The chairs can be teamed up with tables from either the Core Dining collection for a soft relaxed look, or for sharper minimal dining then choose tables from the Edge table collection.